North Carolina law provides for a variety of affirmative defenses for manufacturers and sellers in product liability actions. The legislature has codified many of these defenses in the North Carolina Product Liability Act (“the Act”), found in Chapter 99B of the general statutes. Unlike other states, the act confirms that there is no strict liability in North Carolina. Likewise, the state’s common law defense of contributory negligence is formally recognized as an affirmative defense in product liability claims. A variety of theories are often asserted in product liability actions, such as negligence, fraud, breach of implied or express warranty, or even punitive damages. While the analysis of every case ultimately turns on its specific facts and theories of recovery, many common affirmative defenses for North Carolina product liability claims are outlined below. Statute of Limitations. Statutes of limitation dictate how long after the date of a plaintiff’s injury or loss he has to file his lawsuit, and are dependent upon the legal theory asserted in the complaint. Typically, product liability actions involve claims of negligence, and that statute of limitations is three years. N.C.Gen.Stat. §1-52(5), (16). Statute of Repose. Another potential time bar to a complaint seeking recovery for a defective product is the statute of repose, which requires that suit be brought within 12 years after the product’s initial purchase. N.C. Gen. Stat. §1-46.1(a)(1). The statute of repose is analyzed independently from the statute of limitations, and suits must be brought before the running of both. In fact, the statute of repose could run even before the injury or loss occurs. The Sealed Container Defense. The Act precludes any claim (other than one for express warranty) against a seller when the product was sold in a sealed container, or sold under circumstances in which the seller had no reasonable opportunity to inspect the product in a manner that would or should have revealed the alleged defect. Exceptions to this rule include situations where: 1) the seller damaged or mishandled the product; 2) the product’s manufacturer is not subject to jurisdiction in North Carolina; or 3) the manufacturer has been judicially declared insolvent. N.C. Gen. Stat. §99B-2. Alteration of Product. Both manufacturers and sellers are exempt from liability if another party altered the product after it left the control of the manufacturer or seller, unless the alteration was made pursuant to the product’s instructions. This also includes a claimant’s failure to observe routine care and maintenance. N.C. Gen. Stat. §99B-2. Contributory Negligence. The Act confirms that North Carolina’s long standing common law defense of contributory negligence applies to product liability actions. N.C. Gen. Stat. §99B-4. This statute protects both manufacturers and sellers where: 1) the product was used contrary to its express instructions; 2) the user of the product knew of a defect with the product and still exposed himself to the danger; or 3) the claimant failed to exercise reasonable care under the circumstances in the use of the product. Inadequate Warning or Instruction. A claimant can only recover against a manufacturer or seller for inadequate warning or instruction if they prove that the manufacturer or seller acted unreasonably in failing to provide the warning or instruction, and also proves either: 1) the manufacturer or seller should have known that the lack of an adequate warning created a dangerous condition that posed a substantial risk of harm to the claimant; or 2) the manufacturer or seller later learned that the product posed a risk of harm to the consumer and failed to take steps to give adequate warning or instruction. Regardless of those provisions, no liability extends for the failure to warn about an open and obvious risk. N.C. Gen. Stat. §99B-5. Inadequate Design or Formulation. In product liability claims based on inadequate design against a manufacturer, a claimant must prove that there was a safer and more reasonable alternative design that could have been adopted and would have substantially reduced the risk of harm without substantially impairing the usefulness, practicality and desirability of the product. The statute then provides a host of factors used to determine whether the manufacturer acted unreasonably in its design of the product. Nevertheless, manufacturers are not held liable for inadequate design where that design is based on an inherent characteristic of the product that cannot be eliminated without substantially compromising the product. N.C. Gen. Stat. §99B-6. 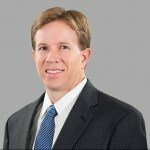 Todd King is a partner in the Charlotte office of Cranfill Sumner & Hartzog LLP. He practices in the area of civil litigation defense.